Akamai's Fourth Quarter, 2017 State of the Internet, was released today in which it states that the analysis of more than 7.3 trillion bot requests per month has found a sharp increase in the threat of credential abuse, with more than 40 percent of login attempts being malicious. Additionally, the report warns DDoS attacks remain a consistent threat and the Mirai botnet is still capable of strong bursts of activity. — 14% Increase in DDoS: "Akamai's findings also confirmed that the total number of DDoS attacks last quarter (Q4 2017) increased 14 percent from the same time last year (Q4 2016). While previous reports from this year showed the intensity of the Mirai botnet fading, Akamai saw a spike of nearly 1 million unique IP addresses from the botnet scanning the Internet in late November, showing that it is still capable of explosive growth." — Cybercriminals are increasingly leveraging bot activity for malicious use: "Many of the botnets traditionally responsible for DDoS attacks are being used to abuse stolen login credentials. 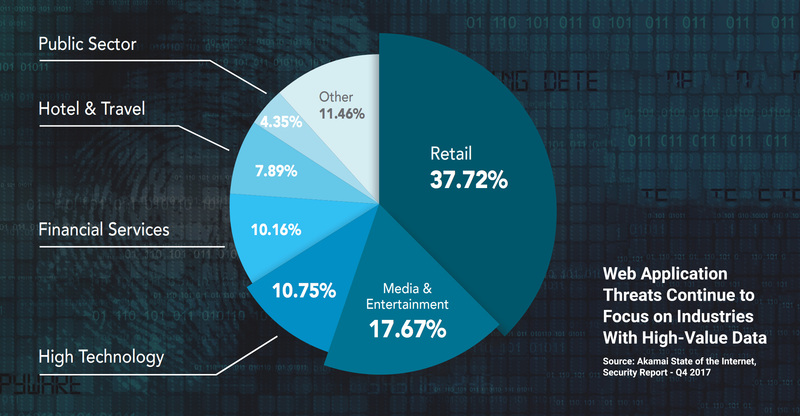 Of the 17 billion login requests tracked through the Akamai platform in November and December, almost half (43 percent) were used for credential abuse." Local Time: Thursday, April 18, 2019 07:30 PM PDT – Page Load: 0.2900 Sec.